When I went to China at the beginning of May this year, more specifically to Beijing, it was about 95% to catch the first leg of the Trans-Mongolian train journey. 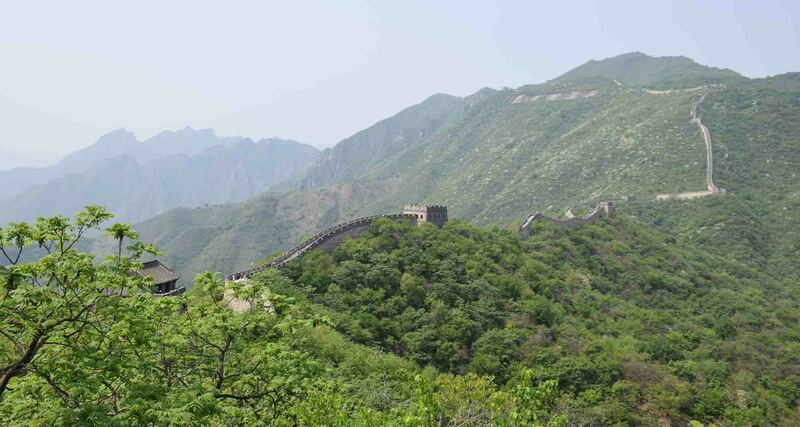 However, as I was going there, I decided that I wanted to get to two of China’s great historical landmarks, the Forbidden City and the Great Wall of China. 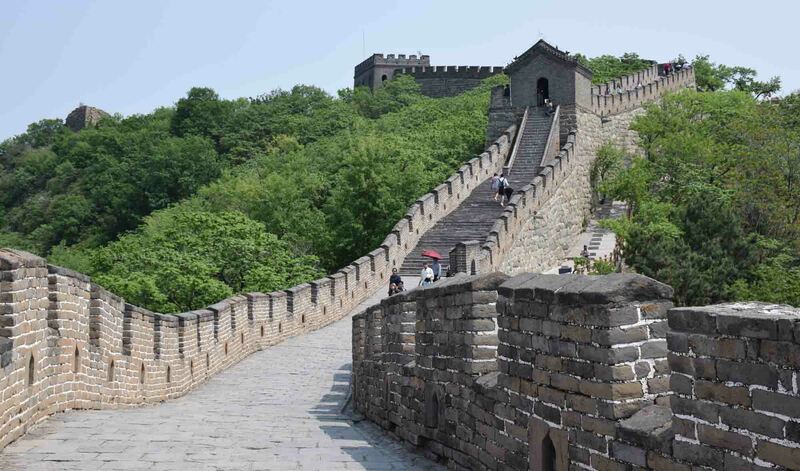 In fact I have visited both before, in 1986 where I had a small Brownie camera, was 11 years old and frankly in 2017 have few memories other than – the wall was busy and babies pooped in the corners. This time around I wanted to make sure I had a decent selection of images. I arrived with a day and half really at my disposal and managed somehow to waste the first day quickly and with little style walking around looking for the entrance to the Forbidden City only finding after too much time had passed and I could no longer enter. 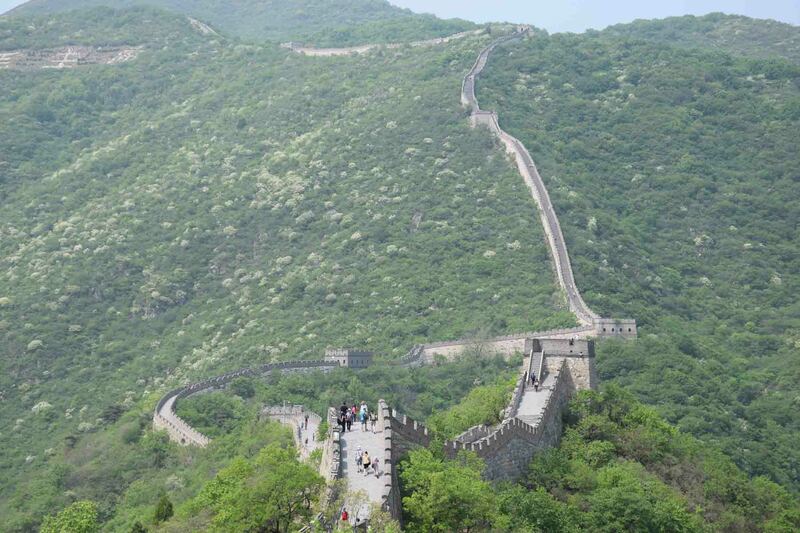 The Great Wall is out of Beijing, 60 kilometres or so to the closest point I think. In theory it was possible to get to it independently, however, it would be a time consuming process. It was lucky then that I found a place opposite my hotel offering a tour of somewhere between $30-$40 I think it was which included both. 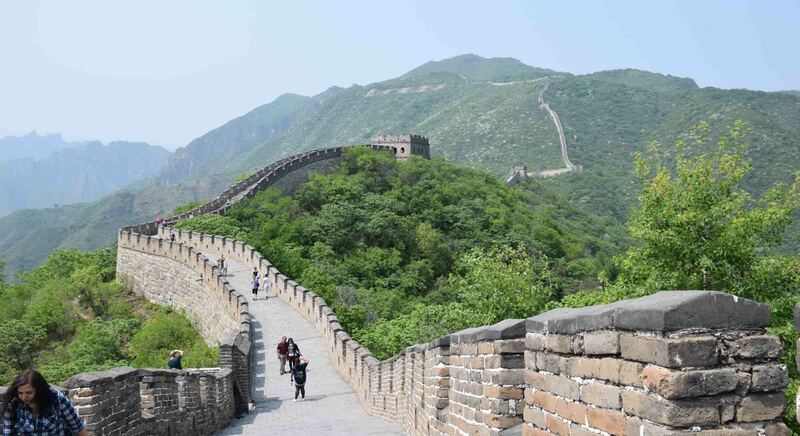 There are several sections which have been restored and maintained that you can visit from Beijing, my tour chose the popular Mutianyu section. 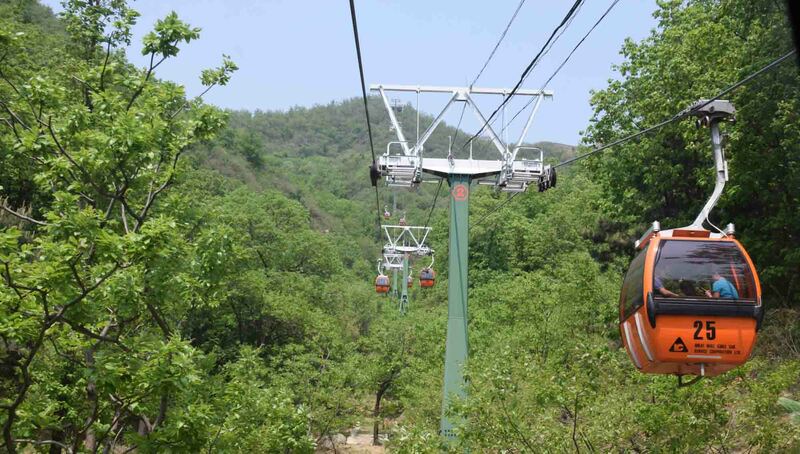 Our tour had a mixture of attitudes towards site seeing, and as some of us (who were not me) liked to linger and take their time, balanced with the fact that the time schedule was limited, we took the cable car up and back to the wall from below. It added to the cost but on a hot day with little cloud cover, it was probably a good choice. And so really for the photos. The experience was actually not too bad. Yes, it’s clearly been restored (some like it but actually I like to find beauty in ruins) and there were plenty of people taking selfies – including myself, however, it wasn’t nearly as packed as I was expecting. It was surprising just how steep it was – hikers can hike long sections of the wall over multiple days, so good luck to them – not far from where we got off. I probably walked 1.5km at a guess in two directions. 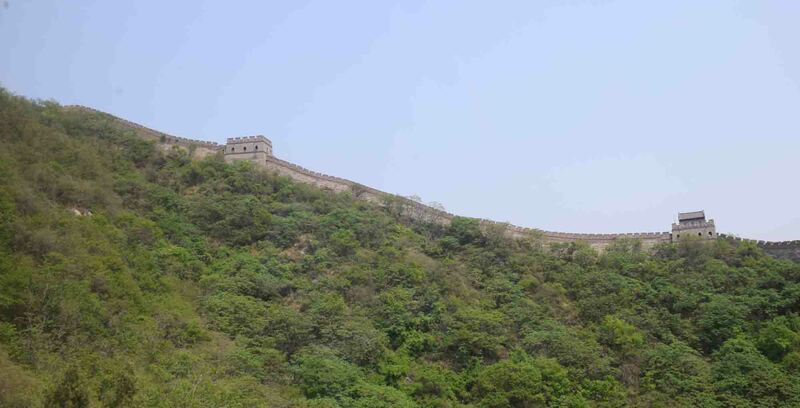 Here you can see how steep the wall gets probably a little under a kilometre from where I took the photo. I was surprised also that it wasn’t, well, as big (wide) as I was expecting. The height varied dramatically. People used the ‘mini-castles’ or as they are more properly called turrets to catch shade and even have lunch. An amazing part of the world, very much worth returning to. And I was happy not to be dismayed at its ‘touristy-ness’ as I was expecting to be? Have I become too cynical? Without a doubt. But still occasionally find the ability to appreciate things still! Hmmm at some points probably. Not sure about the most touristed areas. 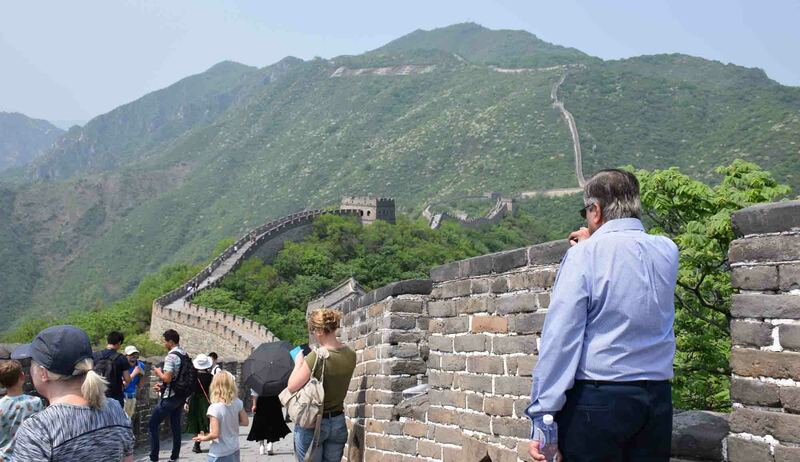 I always find it really cool seeing photos of the Great Wall winding off in the distance. Cheers thanks for commenting Frank! This wall is something magnificent! I would love to go there again soon! Wow! Doesn’t looked too crowded at all. It’s on my list of places to see, but it’s so far from the states. One day! depends which side of the states! Australia is further! Yes, that’s true. Australia is definitely on my list. At least I will be able to catch up on all the newest movies on the flight over.